Black Metal band from Newcastle, Tyne and Wear U.K. founded by Conrad Lant (aka Cronos) in 1979. With the release of their second album: Black Metal they gave birth and name to a genre: Black Metal, they also influenced the creation of other Extreme Metal styles such as Thrash, Speed and Death. * By some, the band is considered to be a part of the NWOBHM movement, but according to Cronos words it wasn’t: "You think back to all those NWOHM bands at the time: They all sounded like someone else, with boring riffs and predictable lyrics. We didn’t want to be part of that, even if it meant people didn't like what we were doing at first, coz it was different". Early age: Cronos created a band called Dwarfstar more rock / metal than punk and with the first signs of Satanic influences, writing song titles such as 'Sons of Satan', 'Bloodlust' and 'Welcome To Hell' and started incorporating pentagrams and dark satanic imagery. 1979 Conrad Lant a.k.a. Cronos (2) [Titan god from the Greek mythology that ate his children], was working at Impulse Studios in Wallsend he met Jeffrey Dunn a.k.a. Mantas (5). Cronos’s goal was to be in a band that plays original material not covers. He switched from rhythm guitar to bassist because the bassist left and stayed that way. At that time Clive "Jesus Christ" Archer was singer, but he was opposed to Satanism and that got him fired. Cronos tried the vocals and the rest of the band preferred him for singing. 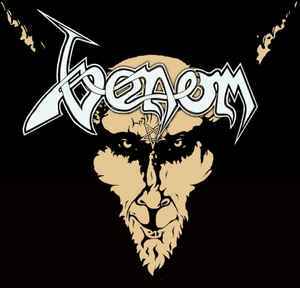 1980 On October 10th, Venom recorded the first 6-track demo that got them signed with Neat Records for their first 7’’ ‘In League With Satan’ / Live Like An Angel - Die Like A Devil. Here it must be said that the initial mix of the tracks was made by a Neat engineer that he didn’t understand Venom’s sound and in result it didn’t really sound like them, so Cronos stole the initial tape and replaced it [before the pressing of the EPs] with one of his own mix! 1981 That same year, the band’s debut album, Welcome To Hell was unleashed [in 3 studio days], it wasn’t a true album but a collection of re-recorded demos with a sleeve, which is why there’s such a huge difference in sound quality between 'Welcome To Hell' and the next album. 1982 Having built a strong fan base among those who worshipped extreme metal, Venom returned [in 7 studio days] with their most important album: Black Metal with their original sound, Cronos shaped it as heavy as it could get. 1984 The band’s first UK live performance on June 1, was at the Hammersmith Odeon in London and became a sold-out event. At War With Satan album is released, idea started off as a story that Cronos wrote while he was still at school. It was going to be a Satanic Bible type idea that I wanted to have published as a novel, and then it turned into a concept album. The difference with other albums is that every song is linked into what went before, after all it was a story turn it into an album. 1996 the band reformed as the original line-up with Cronos back in the fold. A self-titled EP was released, followed by albums and the re-release of all of the bands' older classics. ..More line-up changes happened, as Cronos left to follow a solo career [to return later again] and Abaddon was forced to re-recruit Mantas (largely missed by the fans) along with fellow British Atomkraft's Tony Dolan (who used the moniker 'Demolition Man' in Venom) and Al Banes, then, in 2014 former Venom members Mantas and Abaddon decided to start up a new band titled Venom Inc. later on, former Venom member, bassist Tony “Demolition Man” Dolan, was added to the line-up. The story still goes on with live performances and new albums..